The Port Authority of the Cayman Islands would like to inform the public that the George Town and Creek docks are closed due to wave overtopping and cannot accept cargo vessels. 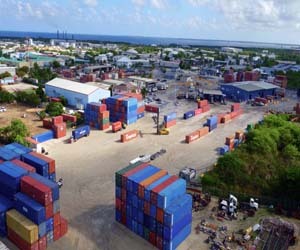 The Cargo Distribution Center a.. The Port Authority of the Cayman Islands advises that it will remain open tonight contrary to a message swirling on social media, notably Whatsapp. The office and port operations are open and will continue to.. This summer, the Port Authority of the Cayman Islands (PACI) provided 9 Caymanian students (7 university students and 2 high school students) with firsthand experience in various operations at the Port. The shi..
Cayman Islands named a Top-Rated Western Caribbean & Riviera Maya Cruise Destination two times in a row. The Cayman Islands has been named a Top-Rated Western Caribbean & Riviera Maya Cruise Destination in Cruise Critic’s second Cruisers’ Choice Destination Awards. The awards are given based entirely on.. The Port Authority of the Cayman Islands invites applications for the following position: INFORMATION MANAGER SALARY: CI$69,000 – $104,000 PER ANNUM Reporting to the Deputy Director & Chief .. The Cayman Islands has been removed from an advisory list, which warns travellers that there is a risk of local transmission of the Zika virus. The jurisdiction was placed on the U.S-based Centers for Disease .. The Port Authority is celebrating its 40th year of operations. Everyone is invited. For further information check the flyer below. Port Authority's 40th Anniversary Celebrations..
We are currently not able to receive calls to either our 949-2055 or 914-37xx numbers. We are working with FLOW to resolve the issue and apologize for the inconvenience. To contact the Port Authority, pleas.. Swim Area Warning signs have been installed at Governor’s Beach and SMB Public Beach in an effort to ensure the safety of those swimming in the designated swim areas. 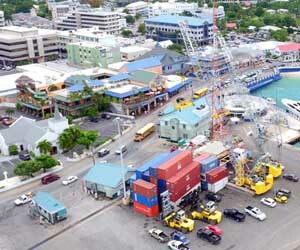 The Ministry of District Administration, Tourism and Transport invites interested parties to prequalify for the provision of a new cruise berthing facility in George Town, Grand Cayman under a design, build, fi..